The Grand Canyon is probably one of the most photographed natural wonders and possibly one of the most visited in the world. 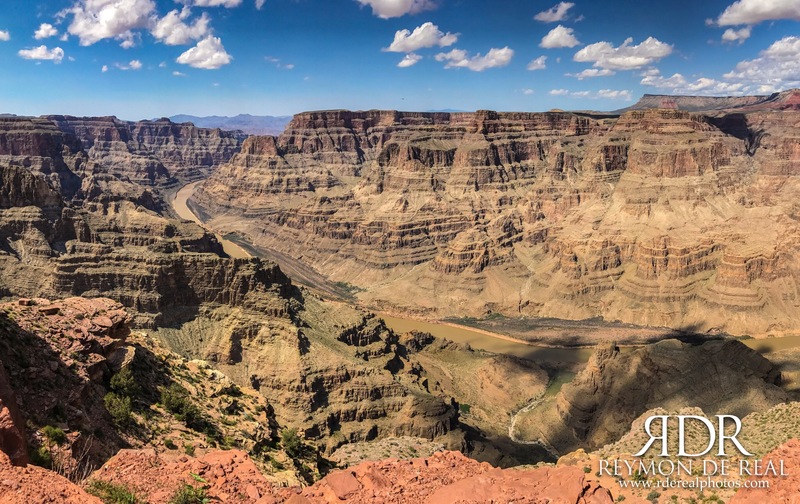 It’s western rim is best accessible from Las Vegas, which is about 3 hours drive each way. This was my second trip and I promised myself to enjoy the view instead of spending time taking photos. I was with my parents who were visiting for the first time so of course I made sure they got their souvenir photos. After which, I took the time to inhale the fresh dry air and scan every inch of the wonder before me…as far as my eyes can see. The photo above was one of the few I took using the Pano mode of my iPhone 7 Plus. Lately I have been travelling less with my DSLR and have resorted to using my phone as my primary travel camera. Who would have thought that a phone could capture such detail and color?…Big thanks to Apple…photography has now become more comfortable (no heavy cameras around your neck) and more convenient. You are right. Smartphones in our pocket can be as good as DSLR. Spice them up with good apps and you turn pro in no time. currently being threatened by administrational policies to open areas up to “development” and “exploration”. The correct word would be exploitation. Beautiful photo and pretty amazing it is from a phone. I can’t wait to go back there one day. It’s a beautiful place with so much positive energy…been there twice and hope to visit again in the future.